Construction work on a suspension bridge over Longjiang River in China’s Yunnan Province has just started, as workers installed the bridge’s first box girder on Thursday. 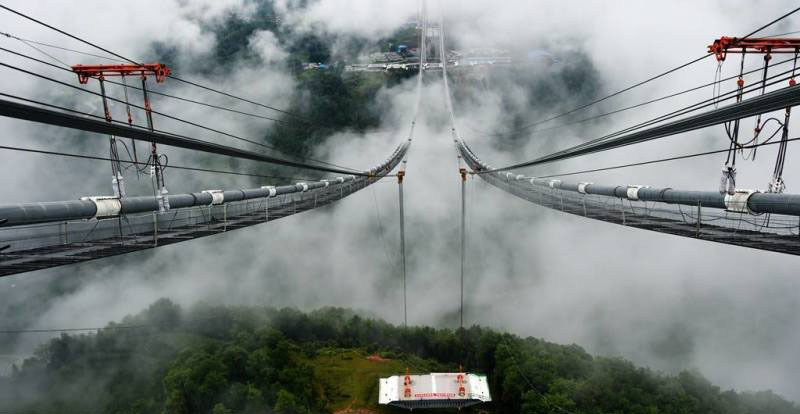 The 2470-meter-long bridge will be Asia’s largest suspension bridge located in a mountain area, according to people.cn. It is scheduled to go into operation next June, and will save locals half an hour’s time en route from Tengchong to Baoshan. 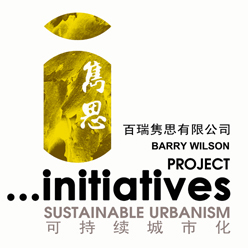 The Longjiang River is the largest obstacle along a new spur expressway that will branch off from the G56 to the city of Tengchong in western Yunnan Province. To get across the 300 meter deep river gorge, the engineers have designed the longest span high bridge on earth with a tower to tower distance of 3,924 feet (1,196 meters) - nearly as long as the Golden Gate Bridge. Longjiang will surpass the distance of both Aizhai and Balinghe Bridges which previously held the long span record honors among the world's highest bridges. 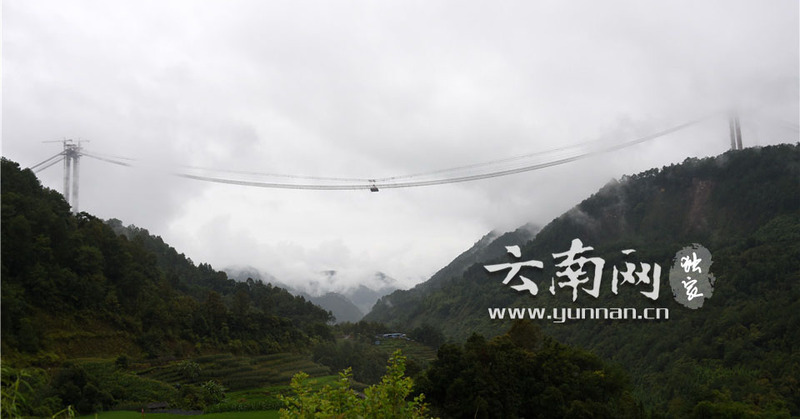 The Longjiang crossing will also be unique among China's big mountain suspension bridges with a thin steel box girder deck that breaks away from the traditional truss deck used on earlier bridges like Siduhe, Balinghe, Lishuihe and Aizhai. 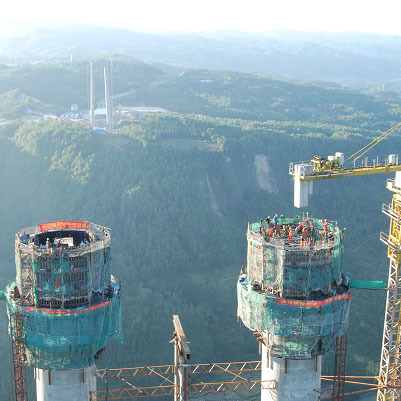 The upcoming Puli Bridge in eastern Yunnan will also have a steel box deck. The two towers on Longjiang will measure 548 feet (167 meters) and 393 feet (120 meters) high.